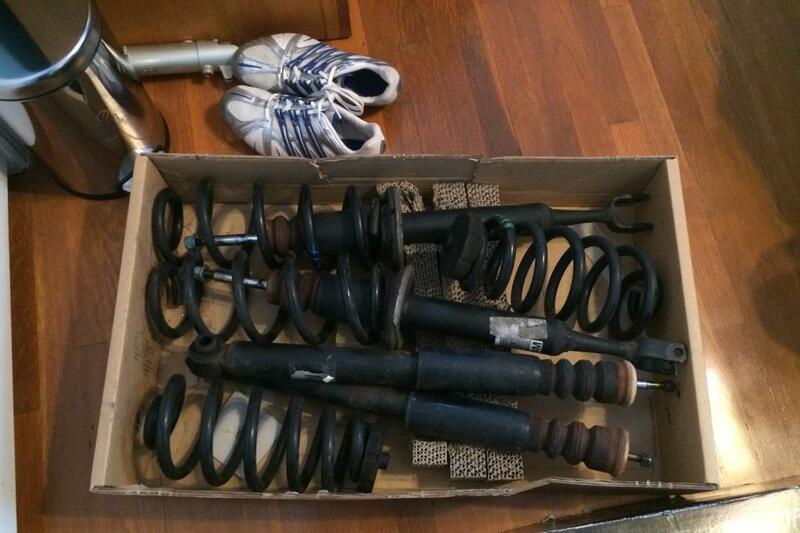 Stock Non S-line Suspension B6/B7 A4: Had it on the car for about 40,000 miles. Everything was fine, I simply upgraded to ST Coils and when I removed those and "sold" (got stolen by a scamming buyer named MauiGrown on Audizine) I replaced them with OEM S-line suspension. They've been sitting under my bed at my house boxed up ready for sale for over a year now. J It can be shipped out at the earliest of November 24th because its at my home in New York, while I'm a student in Washington, D.C. Asking price: $130 OBO, shoot me a decent offer and I will be more than likely to take it. Just want them gone. Last edited by mpv314; 12-01-2015 at 12:14 AM. What year did they come off? Is shipping included? Breached our contract to buy/sell wheels to sell to his Dad for a higher price after taking my deposit (refunded), buyer beware. Volyer I do apologize about our misunderstanding. I informed you of the circumstance change, refunded your deposit to you in full immediately after contacting you, and proceeded on. No harm no foul. Check any of my feedback on other websites ( I am infrequent to this one) and you will see that I am a reputable seller. 20" HRE P41: 20" X 9" : ET 46 : Hankook Ventus Tires 255/30/20 : Freshly Refinished!